This Tiny Light is 4-year-old Elizabeth. Elizabeth has Mitochondrial Disorder. The powerhouses in Elizabeth’s cells do not work, which means her body has to be provided with energy through vitamins and rest. Her condition has caused global developmental delays and intractable seizures. Elizabeth’s parents decided to be the best advocates for their daughter that they could. Her mother admits that knowing that her child has a life-limiting disorder and not knowing when she will be taken from her is incredibly difficult. Elizabeth is a strong girl. She fought through complications in utero and she fights today. Despite ups and downs she is still a cuddly and sometimes messy 4-year-old. She loves music and playing in water makes her very happy. She is headstrong and knows what she’s after! 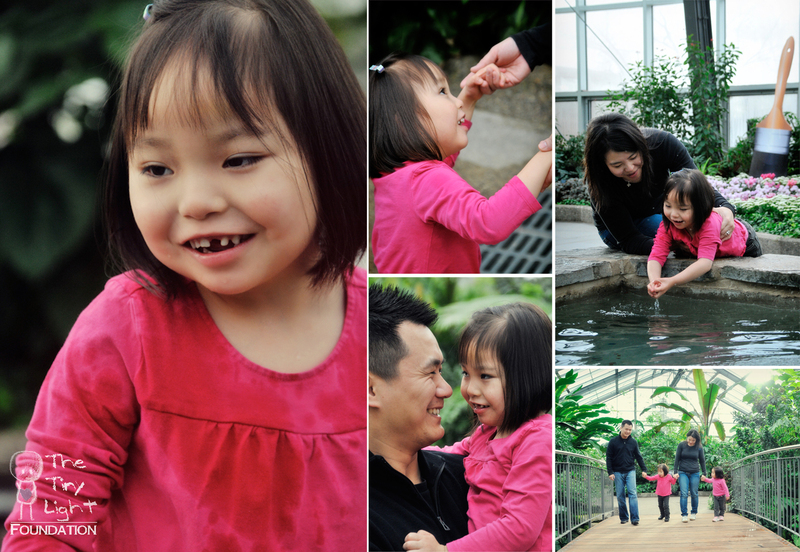 Elizabeth’s parents feel fear daily, as there is no cure for their daughter. They have learned what it means to live in the moment. They feel that Elizabeth was given to them for a reason and they cherish every day with her. Elizabeth’s mother says she uses their situation to not only make things better for their own daughter, but to be advocates for others suffering. “I have included Elizabeth in as many research studies and therapies that I can find. Most of these will not benefit our daughter, but will hopefully make things better for those that follow us."